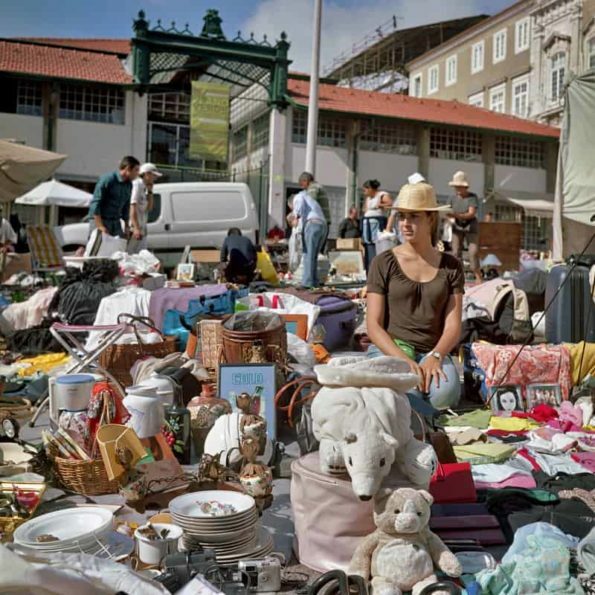 Scenic Flea markets: the Feira da Ladra (Lisbon, Portugal) 3.9393939393939 out of 5 based on 33 ratings. 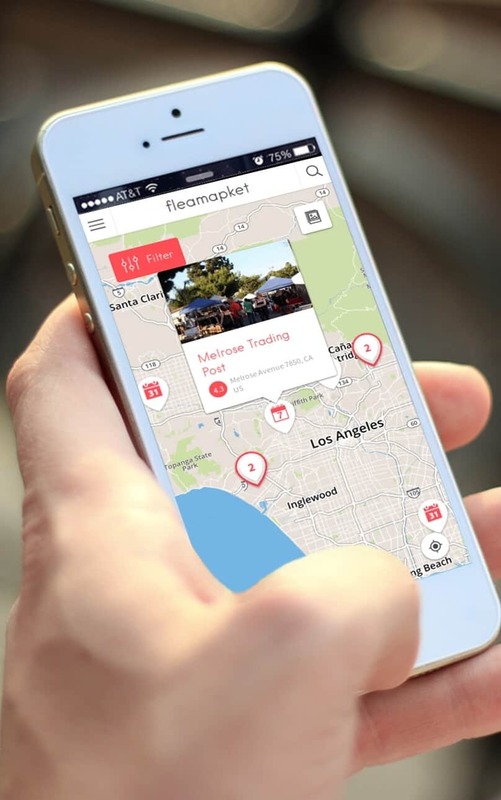 33 user reviews. 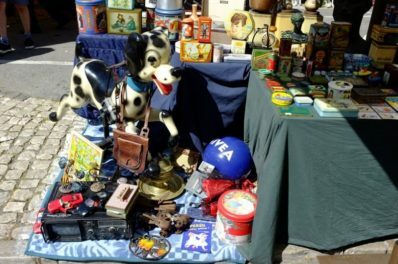 If you’re on the look out for a good spot to go flea market shopping while traveling to Lisbon, just ask locals “where is the flea market?”. 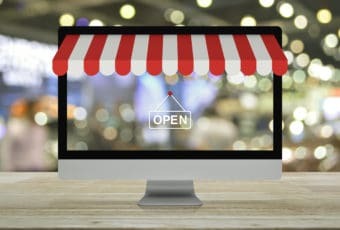 In Paris, London, Rome, Madrid, Berlin or any other European city, you might get an exasperated “yes, but which one are you looking for?”. 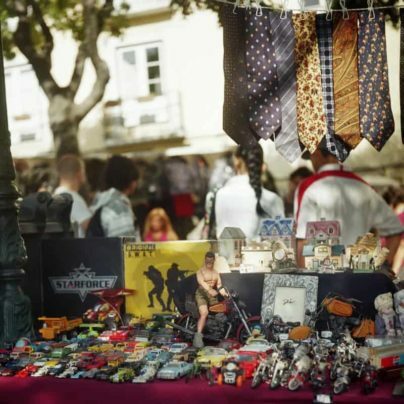 In Lisbon, on the contrary, it makes sense that if you’re a tourist, you’re probably looking for the Feira da Ladra. 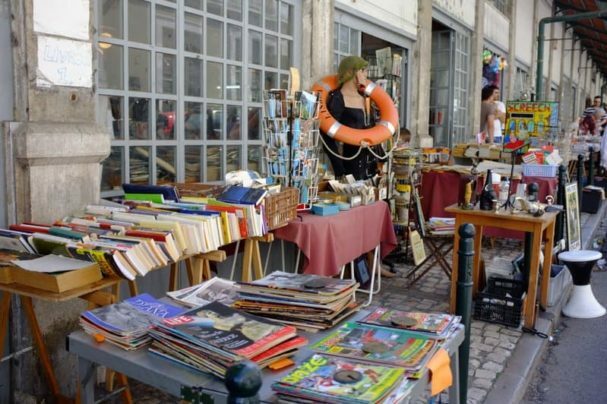 The Feira da Ladra, which literally translates into “Thieve’s Market” (in Portuguese “ladra” is a woman thief), is a local flea market that spans several streets of Lisbon’s Alfama district (Campo de Santa Clara). 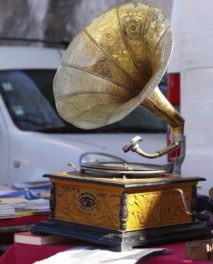 It is believed that this market has its roots in the Middle Ages (since the 12th century to be accurate), when traders used to go there to sell their products as well as stolen goods (as the name suggests). 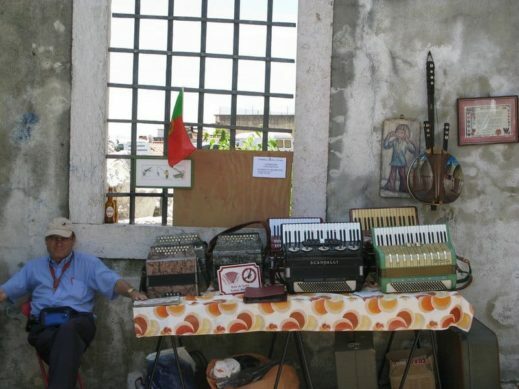 Nonetheless, the name Feira da Ladra itself, only dates back to the 17th Century. 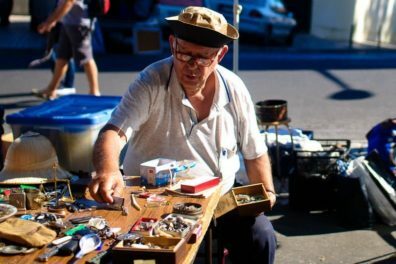 Nowadays it is a renowned flea market, which despite its name, keeps a great reputation, particularly because of its friendly and relaxed atmosphere. 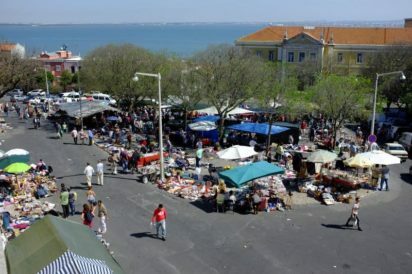 Merchants at the Feira da Ladra are perfectly legal, many of them gypsies showing their wares in the Campo de Santa Clara street (Alfama district). 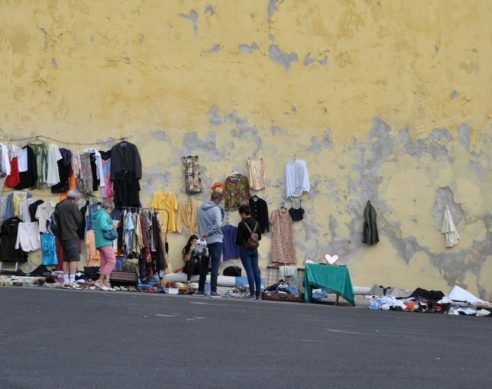 For decades, two days a week, tourists, collectors, and even locals have come to the Feira da Ladra to sell & buy all kinds of junk. 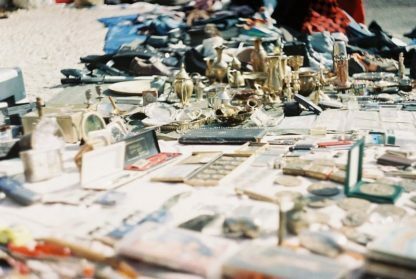 A myriad of small stalls sell all sorts of second-hand and new products, and other traders simply display their wares on a stretched-out blanket: Antiques, furniture, second-hand clothes, trinkets, toys, stamps, coins, militaria, old books… this flea market showcases a cheerful bric-a-brac that spreads on stalls of all size, as well as on the floor. 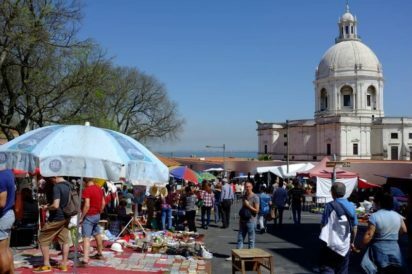 The Feira da Ladra flea market is stuck between the splendid Panteão Nacional (the Pantheon) and the imposing church of São Vicente (near which the famous Tram 28 stops). 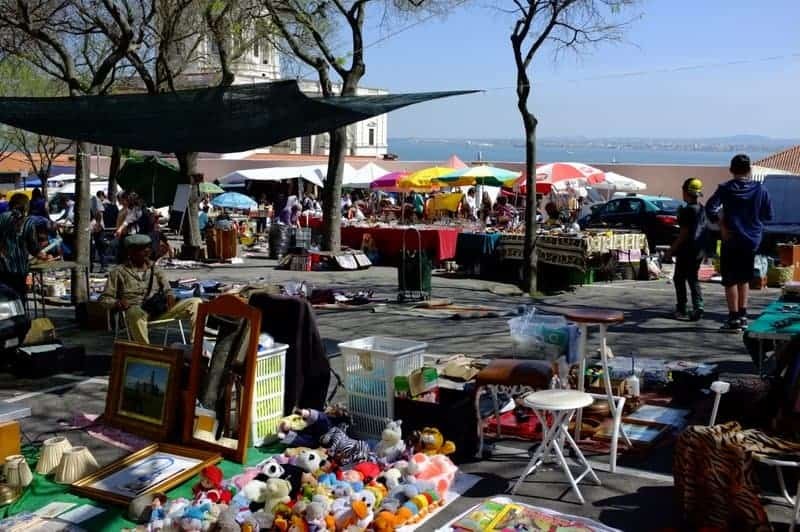 But that’s not all: if you go a little bit more up hill, deaper into the flea market and pass the Panteão Nacional, you will reach a lovely parc (the Jardim Botto Machado) from which you will get a stunning view over the rooftops of the Alfama district and the Tagus River. 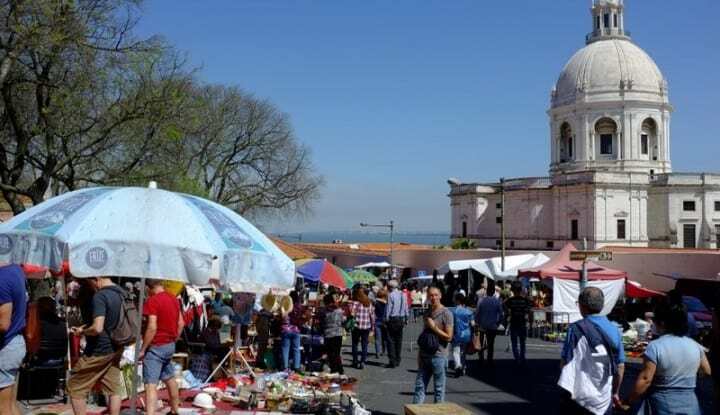 Even if you’re not planning to buy anything (or if you’re not in a flea market mood), just go to the Feira da Ladra for the view and the atmosphere of the place. You won’t regret it. 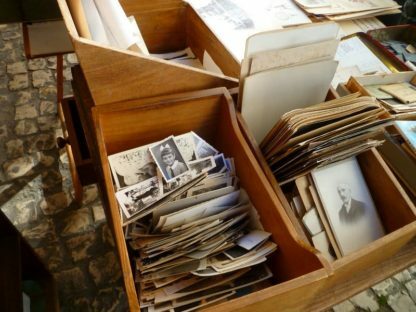 Click here to discover other scenic flea markets from around the world. 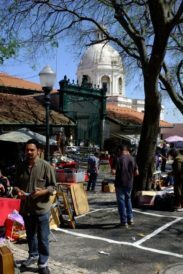 When: The market is held every Tuesday from 6 a.m. to 2 p.m. and Saturday from 6 a.m. to 5 p.m.